Keep our world clean and green! In the beginning - 2007 - we began recycling empty ink barrels by turning them into trash barrels. 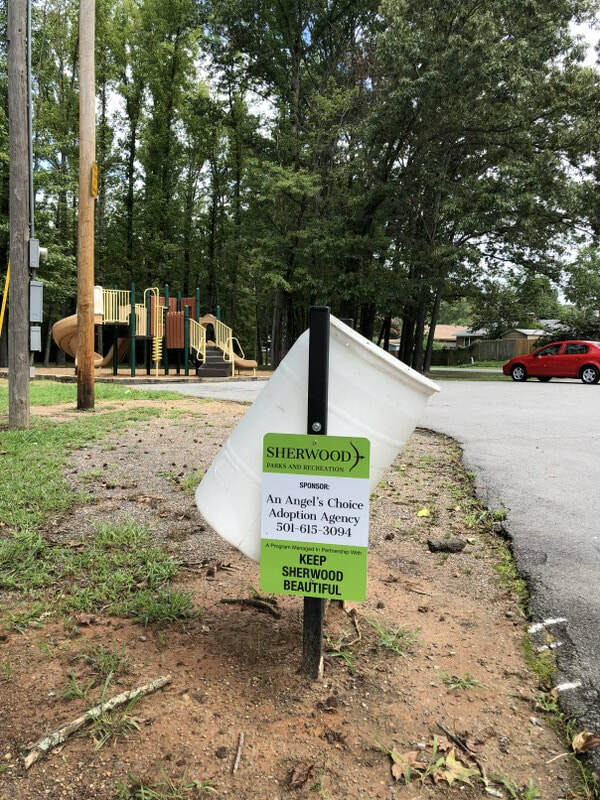 We sell ads on them, placing them around Sherwood on city property. This has been our only continuous fund raiser. The funds help us with expenses incurred as we accomplish our mission statement. All donations are tax deductible as we are classified by the IRS as a 501-C-3 non-profit organization. Each Barrel is $50.00 for a person or family. A business is $100.00 per Barrel. Yours may be placed where ever you would like as long as it is approved by the City and/or property owner. If you would like, your logo may be placed on the barrel.